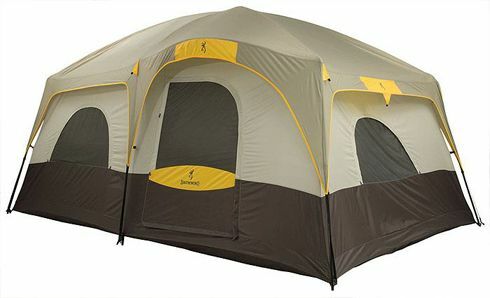 The WeatherMaster 10 and screened 6 tents are more of a "house than a tent." in Coleman's words. 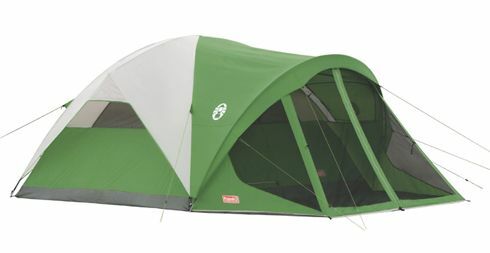 Introduced in 2008, the model has been very well received, often appearing in the top twenty best selling tents on Amazon. Even today in 2019 the WeatherMaster continues to be chosen over newer models by many campers. the short and maybe, sweet version! All three models are ideal for extended summer holiday camping trips, these tents get hundreds of positive comments when it comes to protecting you from the rain and wind, to quote just a few "Dry as a bone" "Completely dry" It is not all roses, a few people mention small incidents with a little water getting in. A number of people also talk about it been "difficult to keep warm" probably due to using a lightweight 68-denier polyester for the tent, along with a mesh inside roof. 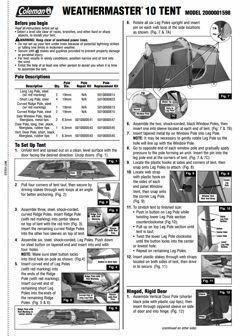 Both the larger and smaller model perform best, when used primarily as a 2 season tent, "late spring to early fall" Many people talk about it's ability to withstand high winds, due to the fact this is in no way a freestanding tent. When set up correctly with all the ropes and guy lines attached properly, these tents are known to be capable of withstanding 35 mph gusts of wind and even hail. 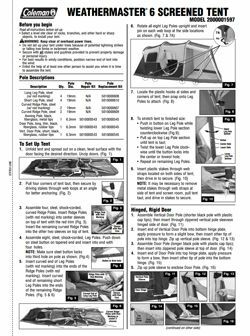 You can download a simple manual with setup instructions for each model, by searching for the model number in google, just in case you should ever lose the one stitched inside the carry bag. Around 20 minutes seems to be the general consensus, along with the fact two adults makes the job a lot easier. One thing to consider is this is a big tent with a lot of headroom 6' 8" at some point you are going to have to get the fly over the top, so you will need to be pretty tall or stand on something. Simple to setup, yes just follow the directions included. Color-coded poles also make the process easier. One person describes it as, "A one armed blind man could set this up in the rain on his own." 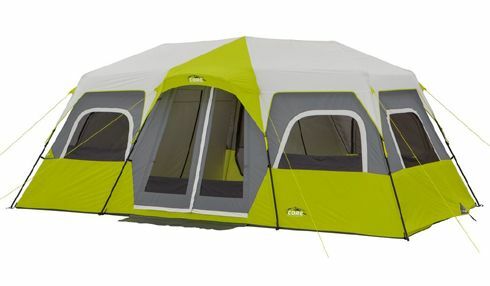 What little is lost in the time it takes to setup these tents "shown in the video below", is made up for knowing that you will be sleeping in strong and sturdy cabin tent. Coleman's WeatherMaster models all have an ample 6 foot 8 inches of headroom. It is available in three different sizes, a large ten-person tent, a smaller six-person tent with a screened porch and an Elite version designed for six, that also has a screened porch area. All three have a 153 square foot total, large footprint, that differs only in how it is divided up. The two 6 person models allocate 54 square feet to the screened in area that does not have a fitted floor. 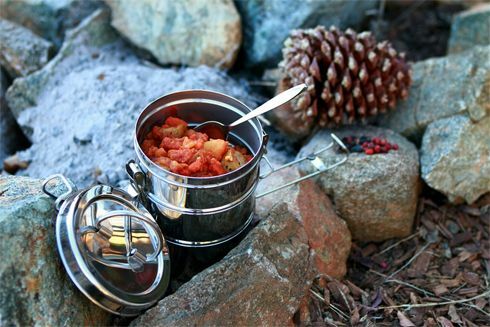 Weight wise when packed in the included carry bag it is a heavy tent weighing in at just less than 40 pounds, perfect for camping close to your car. All three have an identical size footprint overall. 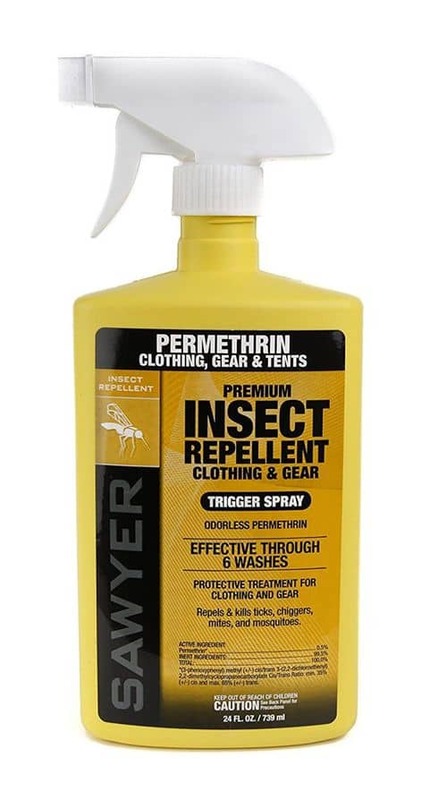 A 75-denier polyester taffeta fly that covers the whole tent "including the screened porch area on the two smaller ones" is included, offering added protection when opening the door should it be raining. The sleeping area is protected with a welded 1,000-denier polyethylene floor. A footprint is not needed or included. 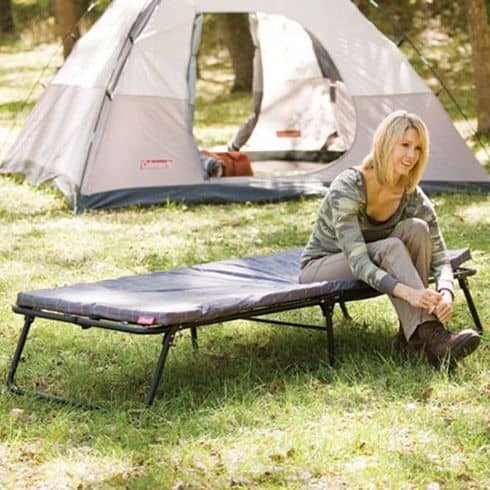 The porch area on the six-person WeatherMaster models does not come with a ground sheet. 1.5: Doors, Dividers and Ventilation. One hinged door is standard on all of them along with a second zippered door. A room divider is included, allowing you to create multiple rooms. Angled windows can be left open even when it is raining for better ventilation. On hot summer nights "with no risk of rain" you can remove the flysheet and stargaze through the inner mesh roof, also improving airflow as pictured below. All include two small zippered openings, one for accessing your cooler and the other to bring in an electrical cord. The Elite WeatherMaster 6 also includes a pre-wired lighting system and spring loaded self-rolling windows. 1.7: Warranty and Spare Parts. All Coleman tents come with a 1-year limited warranty. Simply phone Coleman 1-800-835-3278 and they will walk you through the return process. Spare parts can be found on the manufactures website. With the exception of four D-cell batteries, need for the lighting system in the elite version, all models are ready to use straight out of the box. Nothing extra is needed. You may want to consider getting some stronger stakes. The ones included are often mentioned as not strong enough. 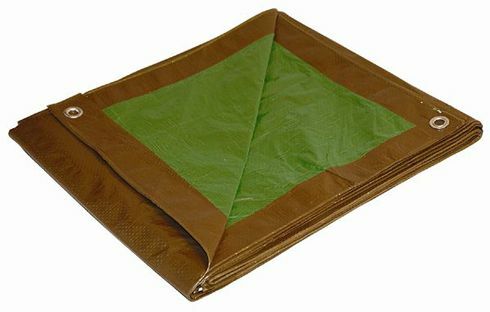 Even though a footprint is not needed a few extra dollars can extend the life of your tent considerably. As the screened in area on the two smaller versions is not protected from the sides, rain can get into the porch area, making it better to get two footprints "99 square feet and 54 square feet" to stop pooling of water under the sleeping area, which would happen if you used one large footprint. 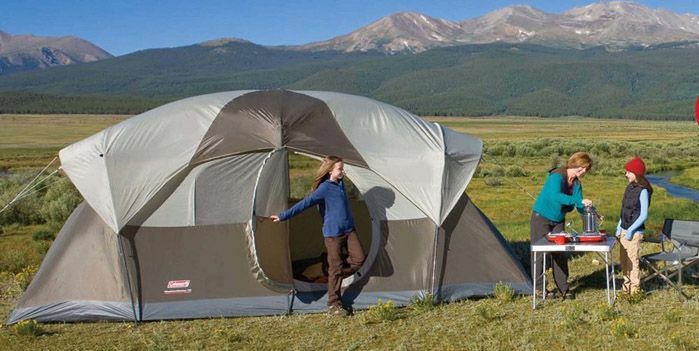 One single 153 square foot footprint would be better with the larger Weathermaster 10 tent. With more than 1000 reviews combined, one can be sure that the overall ratings they have received are pretty accurate. All three score well with a better than average ratings of 4.0 out of 5.0 A significant percentage of reviewers give these tents five stars. The general theme that you get immediately is, roomy, lots of space and solid. Many people appreciate the hinged door and the fact that the 6-person models have an additional screened area. The ability to create separate rooms keeps popping up. Heavy this pops up often, even on reviews with perfect ratings, not a tent to be lugging around any distance. A few people complain of very minor leaks, which are far out numbered by those who praise it for been 100% waterproof. 3: Price and Value for money! 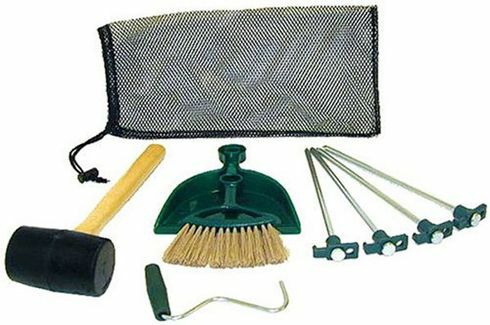 Coleman's history of creating quality products at an affordable price is undisputable. What I like a lot about the WeatherMaster model is the length of time it has been around, ten plus years is a long time for a tent to prove or disprove itself. 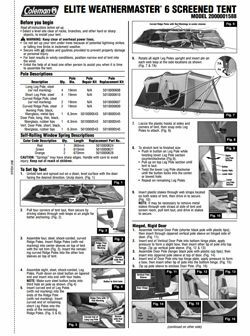 Depending on the model you choose, current prices range from around $200 info_outline for the Elite Weathermaster up to $200 info_outline for the Elite Weathermaster, these prices are comparable with other tents of the same size and quality. Considering all three are technically the same size, "in total square footage" it really depends how many people will be sleeping in the tent or how you want to use it. It is rare to find tents that comfortably sleep the advertised number of people. 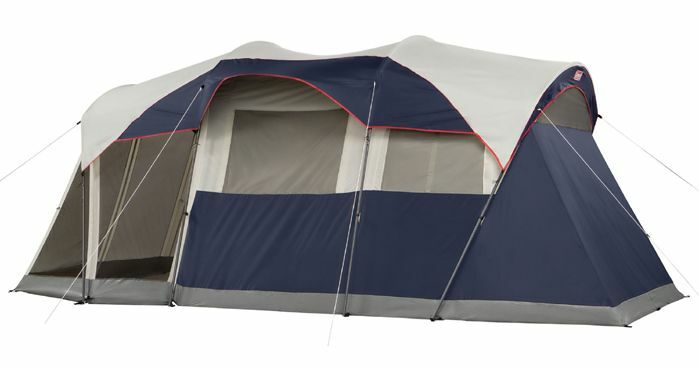 The 10-person tent measures 17 ft. by 9 ft. 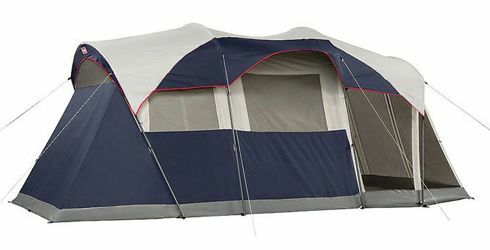 It is pretty easy to calculate that based on 10 people sleeping in the tent, each person could have 19 inches of space by 9 ft. that's just not a lot, the 6-person tents fair a little better, you get 22 inches by 9 ft. still a tad tight. 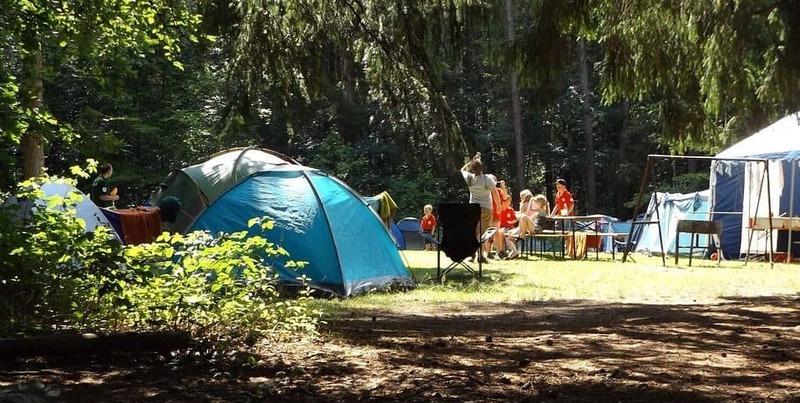 If you are camping in the summer and can be fairly certain of dry weather the two smaller tents with a porch will work for 6 using the porch area as a third room. The larger Weathermaster designed for ten has a place if it's been used to sleep a group of ten cub scouts at a summer camp could it work for six adults? Sure! The thing is then that the 6-person WeatherMaster comes back into play if the weather stays dry. Both the Elite and standard 6-person tent offer better choices than the WeatherMaster 10-person tent does. All three are comparable in price none can be described as expensive. The extra-screened porch area looks attractive to me, more so if it can double as an extra room on dry nights. Is the Weathermaster Elite 6 with rollup windows and a battery powered light "batteries not included" worth paying extra for? At today's prices info_outline "they often change" $20 does not look like a lot to pay extra, for the convenience of self-rolling windows and an integrated lighting system. My pick would be the Elite Weathermaster pictured below on the right. Another model you may like is Core Equipments Instant Cabin Tent available in three different sizes it also offers great value.